Musée Héritage Museum: The restoration of la maison Chevigny is now underway! The restoration of la maison Chevigny is now underway! 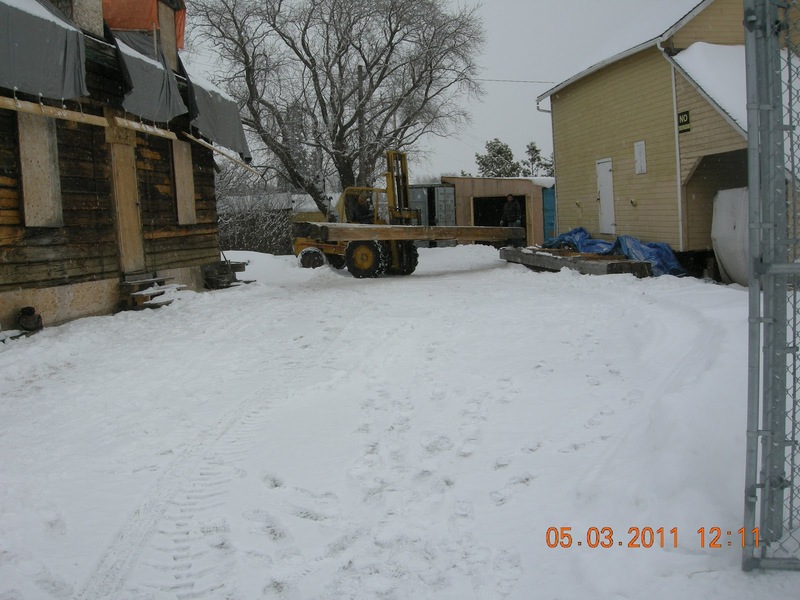 The first phase of the restoration is the stabilization and repairs to the logs in the exterior walls. It is anticipated that this work will take 4 to 6 weeks and we will be keeping you updated of the progress through a weekly blog posting. 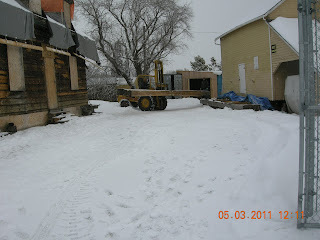 The work is being done by M&H Wood Specialists, a local log homebuilder http://www.mhwood.com/. The work started on March 5th when the contractor arrived at the site to collect some logs that require sizing and broadaxe texturing to match the style of the building.